Rooms adorned with subtle micas and embossed glitter flood the room with twinkling light that refuses to be ignored. 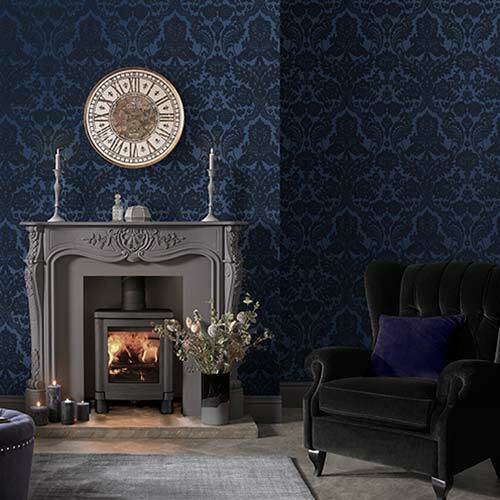 Casting an enchanting aura of opulence over your room and highlighting all of those hidden corners, our range of shimmering motifs have something to suit all styles. 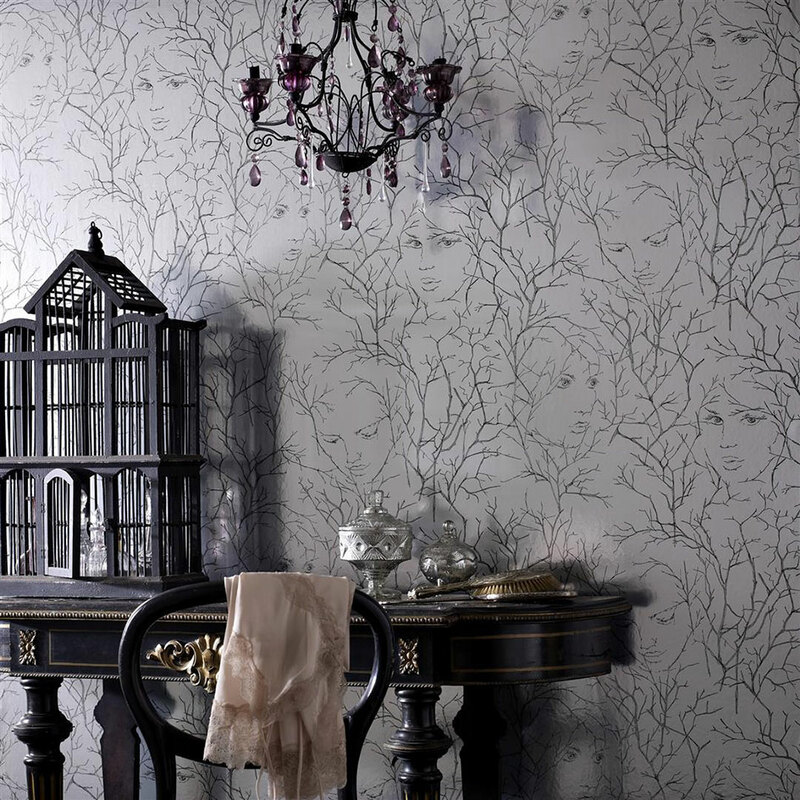 Our gorgeous Goddess Dawn wallpaper comes straight from the spirited forests that appeared in your childhood fairytales. Look a little closer at this stunning bracken pattern and you’ll notice the haunting faces peering back at you. Perfect for communal areas as a great talking point, the foil shimmer welcomes light into the room to guide you through the undergrowth. 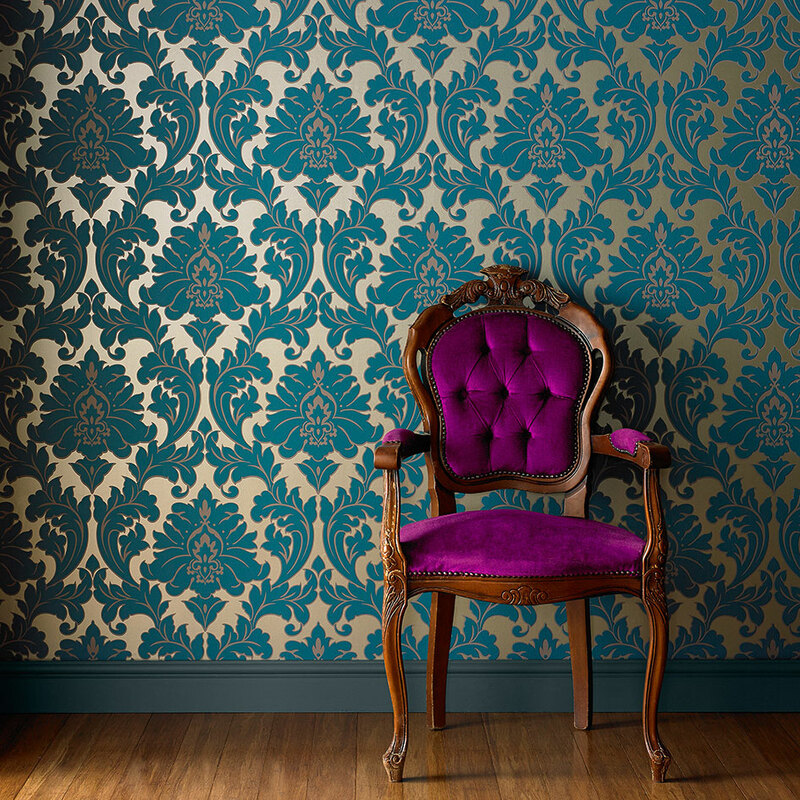 However, you don’t have to stick to a silver-toned colour palette, our Majestic Teal wallpaper brings a classic sense of royalty to any room, whilst reflecting light from the stunning golden backdrop. Providing instant illumination from your lamps and what little light is coming in through the windows, this wonderful motif captures your eye and invites you into a room you’ve always dreamed of. It’s not just metallics that can invite light to dance through your home; a wash of colour can evoke fond summer memories and bring an enlightening feel to your humble abode. 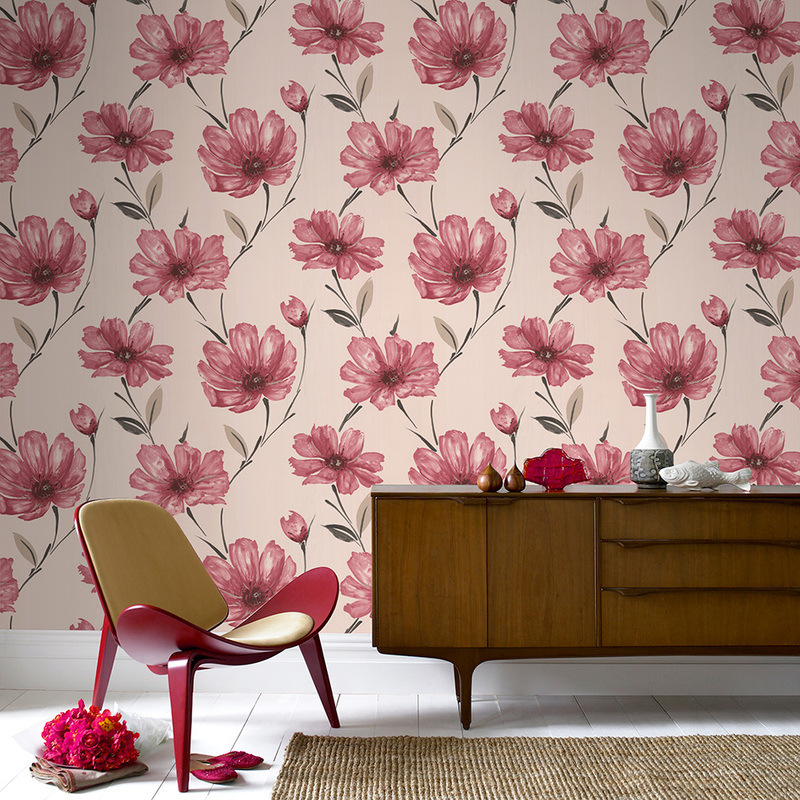 Take, for example, our Spirit Red wallpaper. These stunning watercolour flowers sit on a bright white backdrop, giving your home a blushing touch of red. This charming print embodies hazy summer days. A timeless style, floral motifs never seem to age, offering you the chance to savour fresh cut flowers every day. 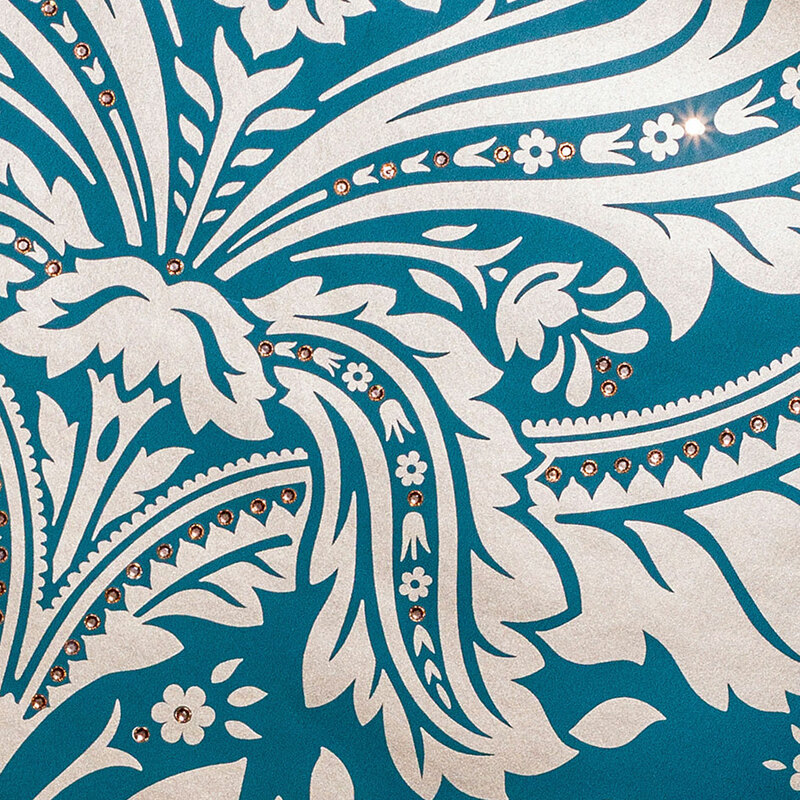 What’s a wallpaper without a few finishing touches? 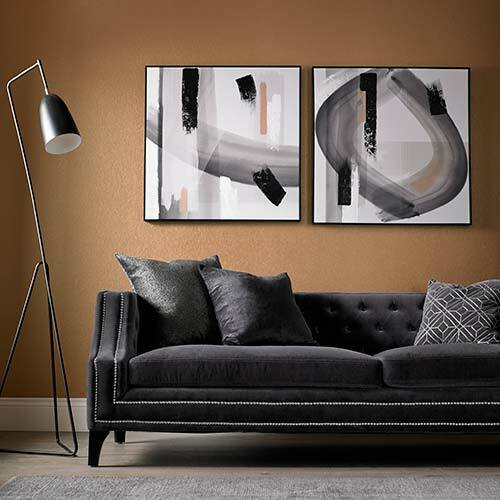 From abstract art to large scale photographic canvases, wall art can complement any style to give your room that distinctive edge that really makes it yours. 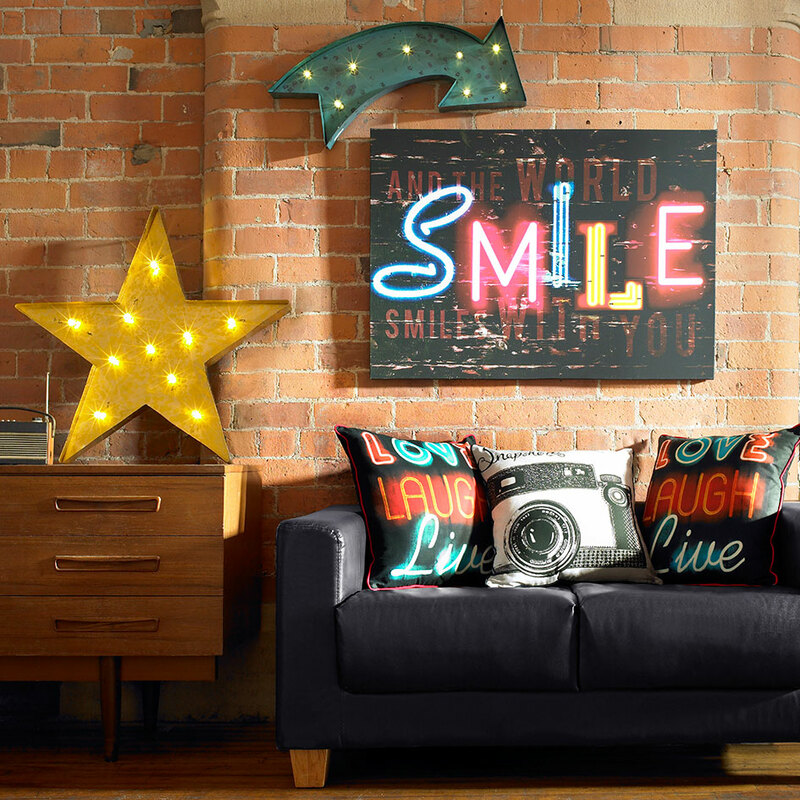 Why not adorn your walls with a few extra details to flick the switch on low lit walls? 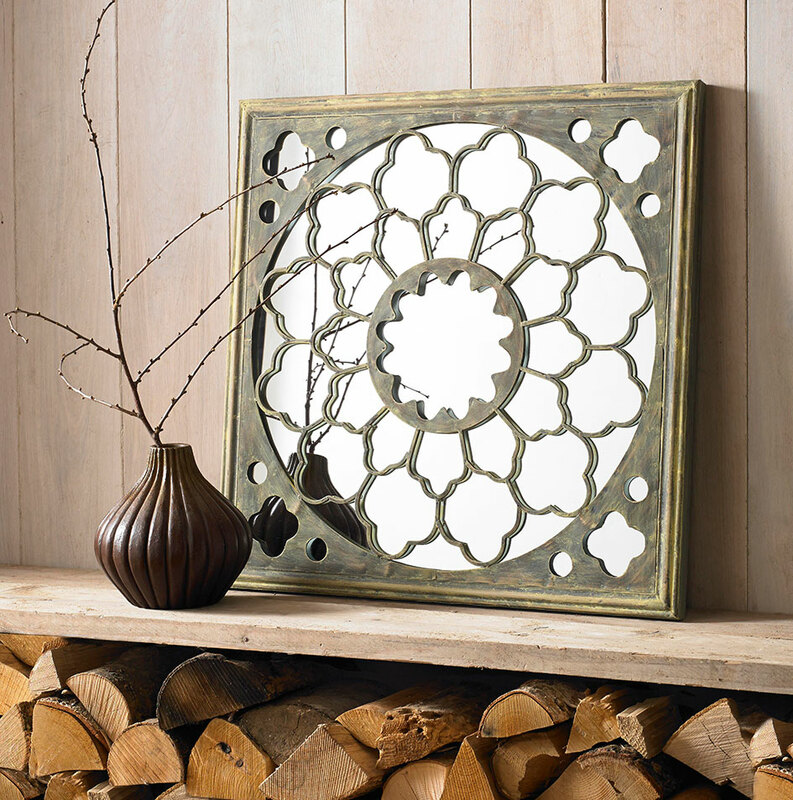 Peering through the looking glass, you won’t be able to miss the glorious rays of light that reflect from this patterned mirror. Acting as a beacon to illuminate dark and dreary rooms, this stunning accessory is the perfect companion for low lit areas of your home. Helping to create the illusion of more space, mirrors have been used in interior design for years as a way of reviving forgotten, uninspiring rooms. For something a bit more literal, our light up metal art is an efficient, battery-powered way of shining a light on low lit rooms. A great choice for communal areas, home cinemas and gaming rooms, these modern features illuminate the room with a playful touch. No matter how much or how little natural light you have in your home, our gorgeous wall jewels play upon the limited source of light to dazzle your guests. These gems sparkle and twinkle at the slightest hint of brightness to not only light up the room, but also add a captivating magical touch.